Carrollwood is an unincorporated community in Hillsborough County, Florida, northeast of downtown Tampa. It was founded in 1959, and experienced a lot of growth and development in the 1960s, 70s and 80s. Today it is nice part of the expanding north Tampa suburbs. If you are looking for a Carrollwood pool builder to turn your yard into the perfect Carollwood outdoor living space for your family, we hope you'll consider Grand Vista Pools. 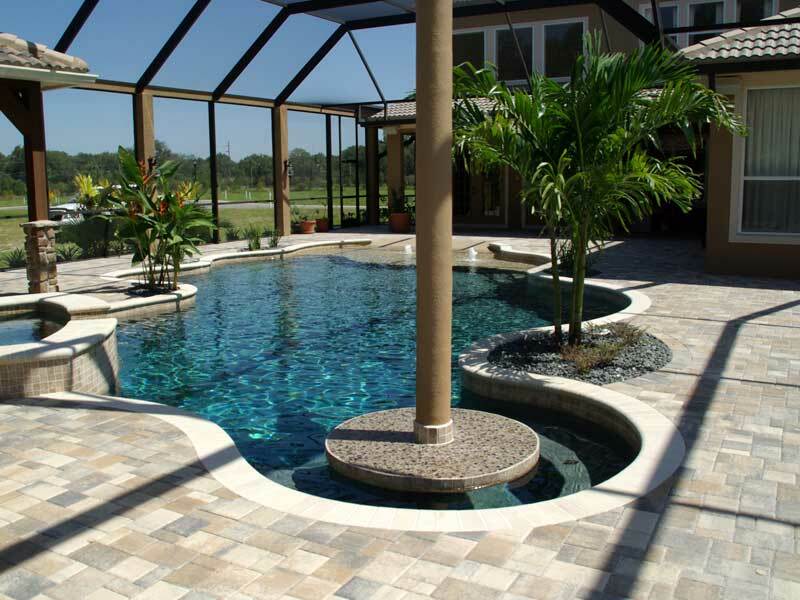 We have been designing and building new swimming pools in Carrollwood, Florida for decades. One attribute that separates Grand Vista Pools from other pool builders is that we are also a licensed general contractor. Because of this, we can design and build your entire outdoor living space including renovations to your home to improve your indoor living space and help it to flow together with your new outdoor living space. Do you have an older Carrollwood swimming pool that needs remodeling? Want to add a spa? Would you like to add lighting, water or fire features? Grand Vista Pools does all kinds of pool remodeling from basic pool resurfacing to extreme makeovers. Grand Vista Pools is also an expert when it comes to designing and building Carrollwood outdoor kitchens. If you can imagine it, we can create it - from a gas or charcoal outdoor grill to a full-featured kitchen to an entertaining outdoor bar.